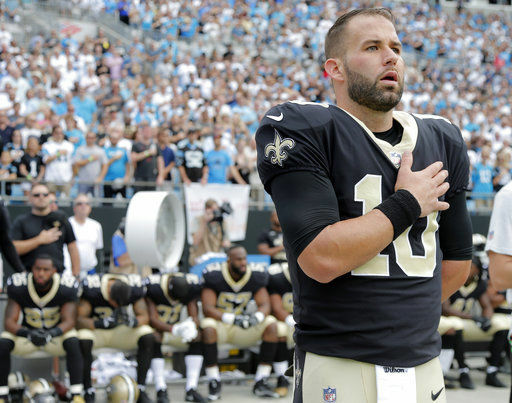 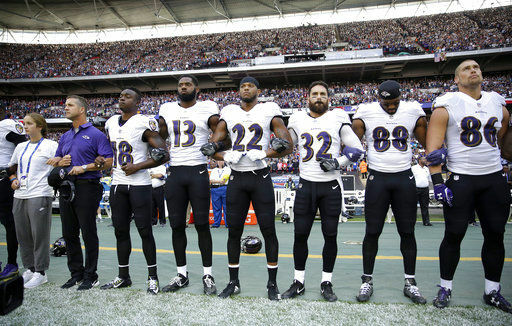 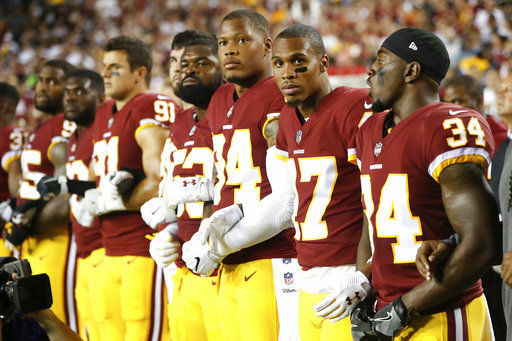 The president’s attack on athletes turned the anthems — usually sung during commercials — into must-watch television shown live by the networks and Yahoo!, which streamed the game in London<a href=”http://pro32.ap.org/article/some-fans-boo-anthem-protests-2″ target=”&mdash;blank”>. 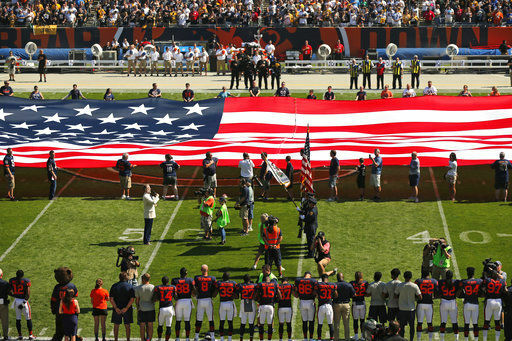 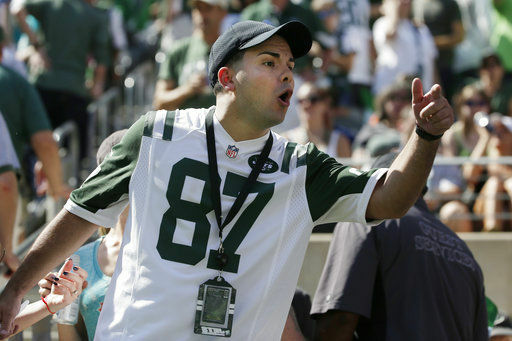 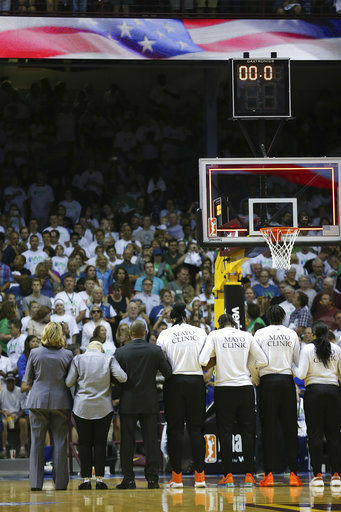 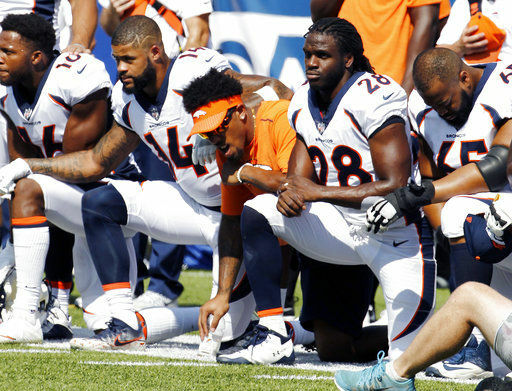 In some NFL stadiums, crowds booed or yelled at players to stand.</a> There was also some applause. 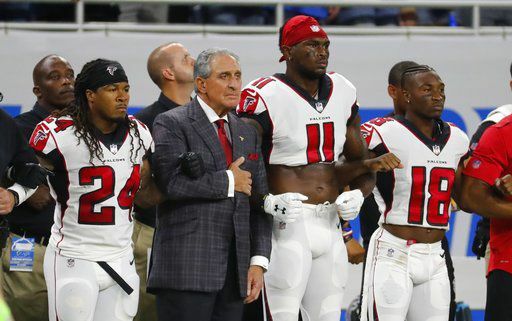 The <a href=”https://apnews.com/card/afs:Card:1394080058/Photo-Gallery” target=”&mdash;blank”>NFL and its players, often at odds, used Sunday’s anthems to show unity.</a> One of Trump’s biggest supporters in the NFL, Patriots owner Robert Kraft, joined the chorus when he expressed “deep disappointment” with Trump. 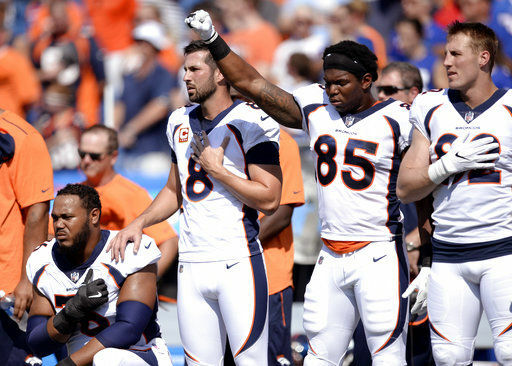 Defensive star <a href=”https://pbs.twimg.com/media/DKgVw1QW4AAD7Uy.jpg” target=”&mdash;blank”>Von Miller</a> was among the large group of Denver Broncos who took a knee in Buffalo Sunday, where Bills running back LeSean McCoy stretched during the anthem. 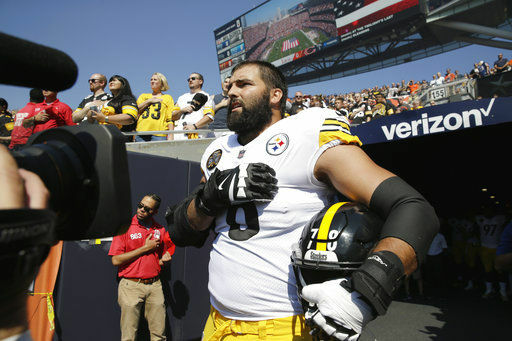 In Chicago, the Pittsburgh Steelers stayed in the tunnel except for one player, Army veteran Alejandro Villanueva, who stood outside with a hand over his heart. 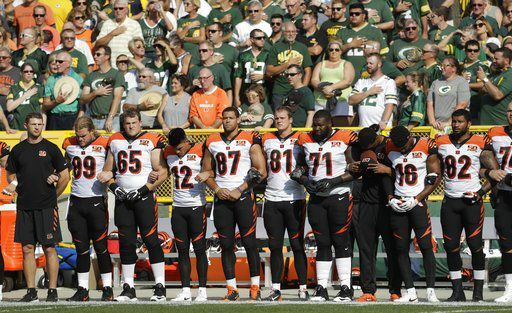 Both the <a href=”https://twitter.com/FOXSports/status/912054152858976256″ target=”&mdash;blank”>Seahawks and Titans stayed inside</a> until after the national anthem was over in Nashville, a throwback to the pre-2009 NFL when teams, not the league, set pre-game policy regarding players standing on the sideline for the anthem. 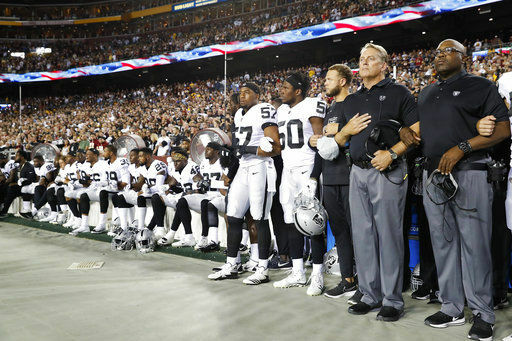 The president’s delving into the NFL protests started by <a href=”http://pro32.ap.org/article/kaepernick-donates-50k-meals-wheels-after-trump-swipe” target=”&mdash;blank”>Kaepernick</a> brought new attention and angered many players who took one insult as a personal attack on their mothers. 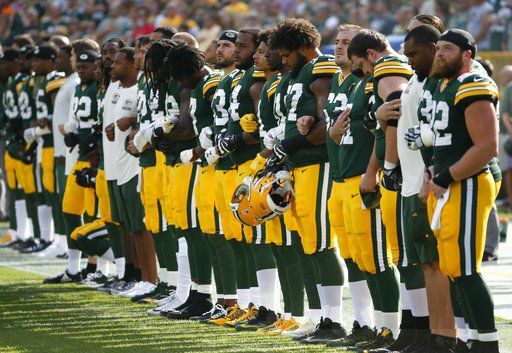 In Detroit, <a href=”https://twitter.com/SInow/status/912001508744601600″ target=”&mdash;blank”>anthem singer Rico Lavelle took a knee</a> at the word “brave,” lowering his head and raising his right fist. 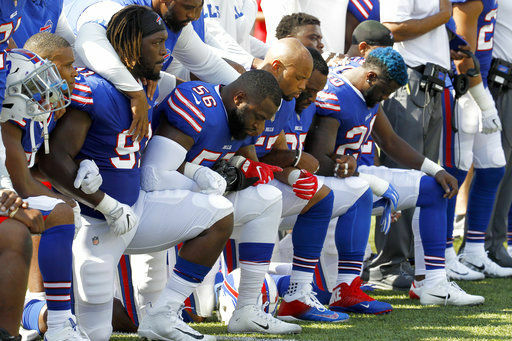 In Nashville, anthem singer Meghan Linsey, took a knee as she finished singing.